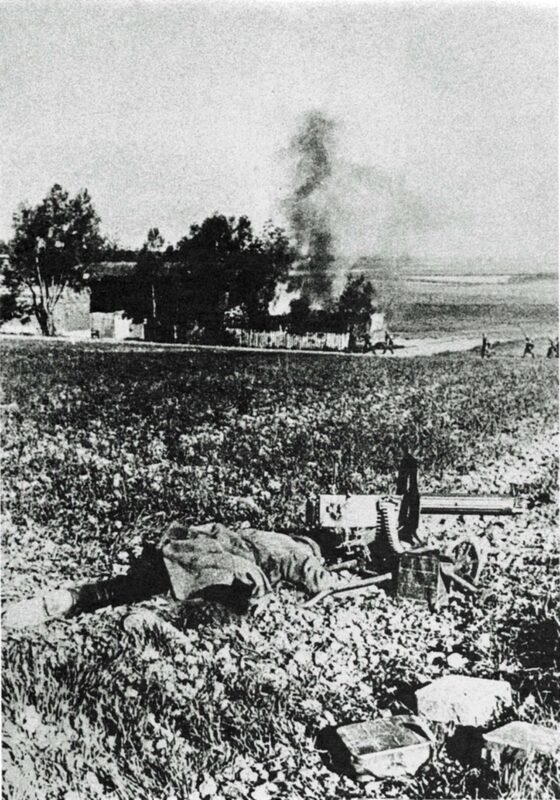 Operation Barbarossa: A Soviet machine gunner who was killed in a field near the outskirts of the village. In the background to the burning house are Wehrmacht soldiers. Eastern front.